WE HAVE DUBLINS ONLINE LOWEST SET PRICE HEATER REPAIRS. 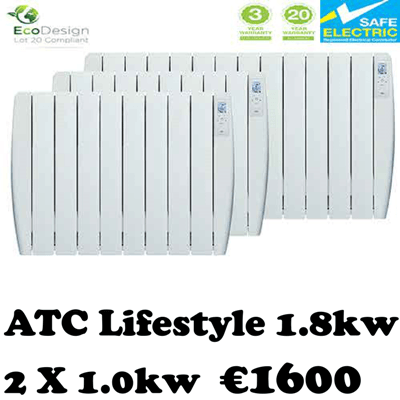 We Are Dublin's Number 1 Modern Eco Efficient Electric Heater Installers. 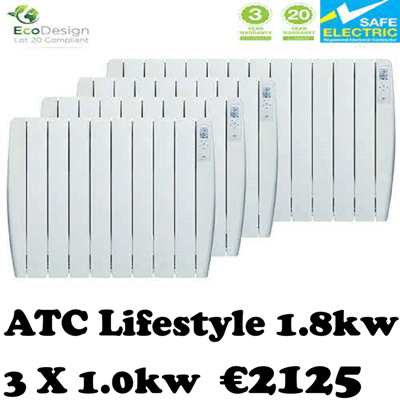 We Install ATC Eco Radiators. 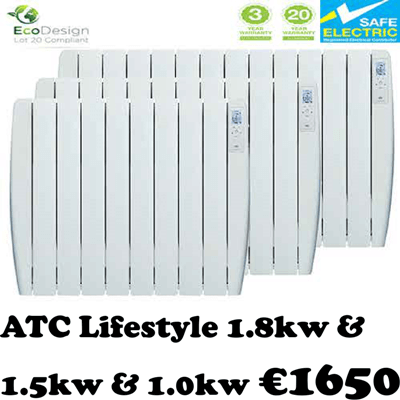 We are one of Dublin's most trusted modern Eco electric heating Solutions company's. 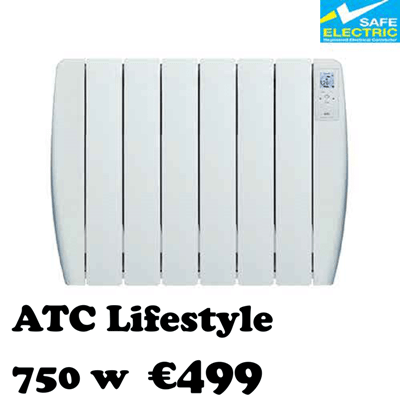 The main brand of heaters we use are ATC Sunray Plus heaters, due to their reliability and high heat output. Each radiator has an easy to use digital thermostat with which to allow you to select the optimum heating programme for your home. 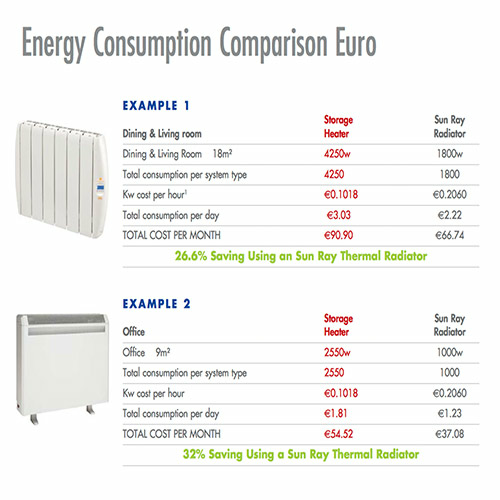 ATC Sunray electric radiators are so energy efficient that they can help to reduce your heating bill by up to 40%. Each radiator has an easy to use digital thermostat and time clock to allow you to select the optimum heating programme for your home. 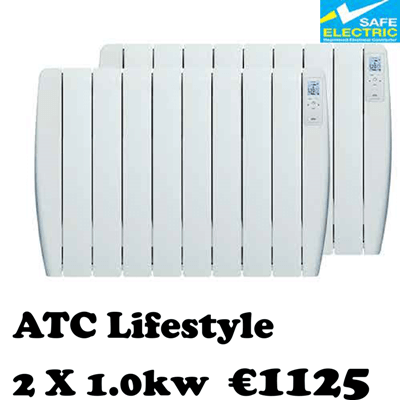 ATC Sunray heaters get up to full heat in under 10 minutes and can output as much as 5 times the heat of that of a standard storage heater. 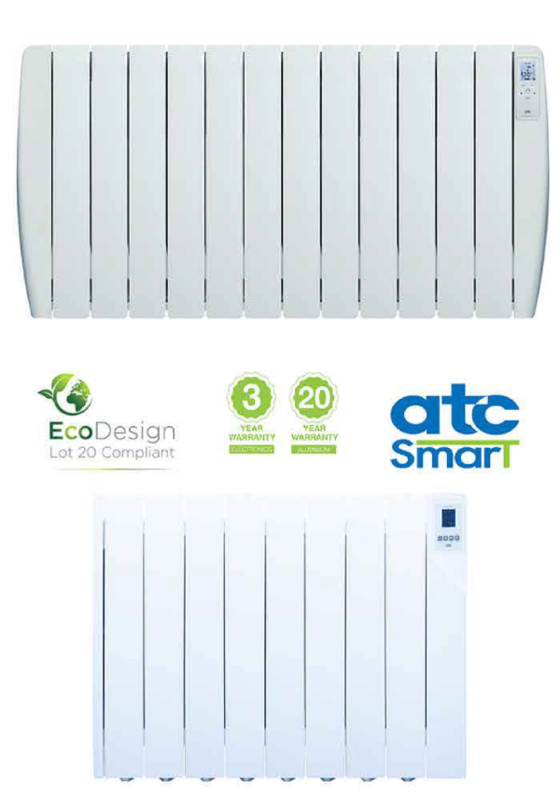 Our ATC Sunray Plus Eco electric radiators are suitable for both domestic and commercial properties. 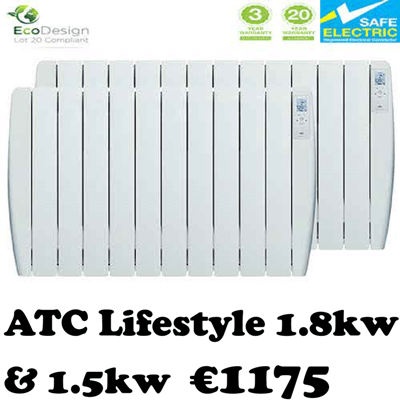 The digital and analogue modern electric radiators are slim-line, silent, fully programmable and best of all produce no smell or blackening of the party roof. 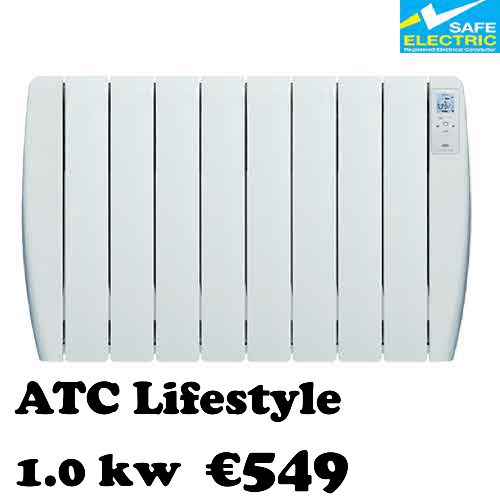 They are more reliable than traditional storage heaters as they have a digital timer and a digital themostat. This helps to regulate the temperature making them more energy efficiency and also helps to maintain the desired room temperature. As these heaters are oil filled electric radiators, they don't take as long to heat up, unlike other heaters that use solid filler. 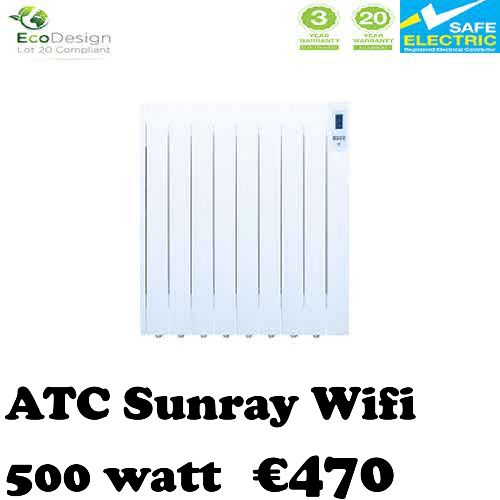 All ATC Sunray Plus heaters come with a 10 year warranty on the radiator body and a 2 year warranty on all electrical components. When calling our office on 01-4458543, you should take note of the room size in m2 and inform a member of our call centre who can correctly advise you of the size of heater that you may require. 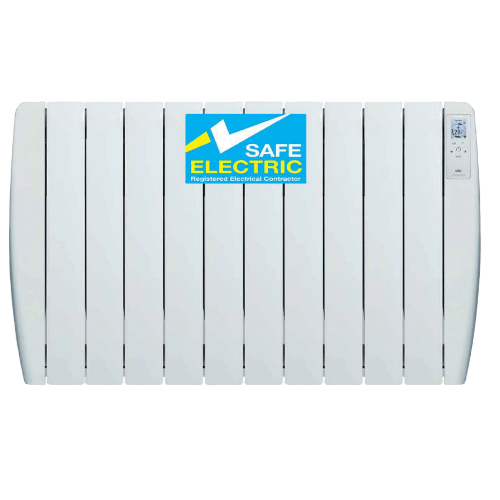 Storage heaters have a fair few problems associated with them and are becoming increasingly outdated and are being replaced by more efficient and eco-friendly electric heating solutions. 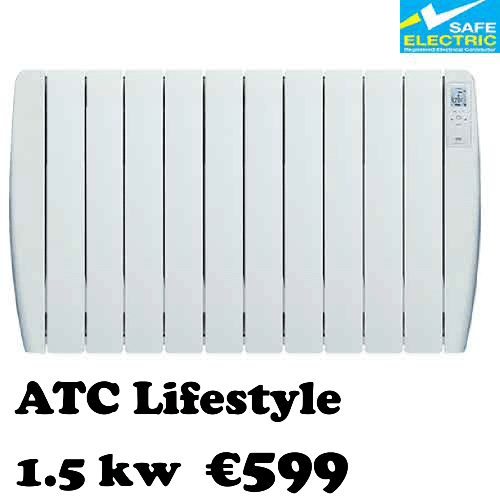 One of the main problems with traditional storage heaters is heat “leakage”. As good as the heater may be, no storage heater has the ability to store 100% of the heat generated and consequently produce and store more heat and energy than is actually necessary for the next day. This means that although electric convection heating can be efficient, storage heaters need to use more electricity than standard convectors making them less environmentally friendly and just uneconomical. Is it time to get your old storage heaters replaced? By their very design, storage heaters can unfortunately be quite inefficient and tend to lose heat from the moment that the bricks are heated overnight. The new Sunray Plus range of Eco radiators are digitally controlled so the user can define when to turn them on and off and not have to charge them over night. 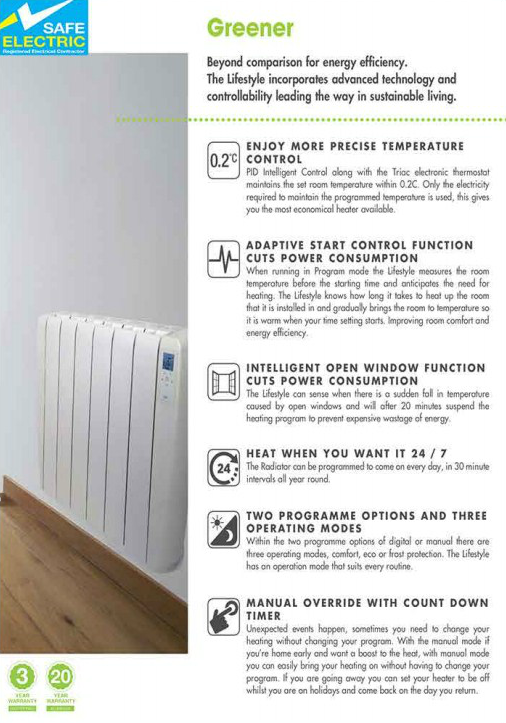 The digital radiator can be easily programmed directly with variable settings including day by day, hour by hour in either Comfort mode or in Economy mode. The analogue range is also easy to control with just a simple on and off switch and adjustable temperature setting. 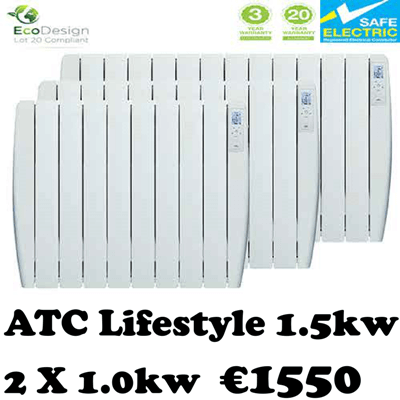 These digital electric radiators are silent during operation and can provide 5 times the heat out put as that of a standard storage heater. Night storage heaters are quite possibly the least efficient of all electric heating systems. Storage heaters may actually waste energy: They begin heating in the night while you are asleep, and then emit heat throughout the following day when the home might even be unoccupied. The heat from the storage heater cannot simply be stored and then released on-demand. Storage heaters may run out of heat when it is most needed: The bricks inside a storage heater may run out of their charged heat by the evening time, this is especially frustrating during the winter months. There is however the option of using the “boost” button on the heater, but this is very expensive and tends to be charged at the premium rate. Economy 7 tariff tie-up: Once you sign up for the Economy 7 tariff with your energy company, you’re then tied to it. The tariff does give you a reduced rate to charge your storage heaters overnight but you will be charged a premium for ALL usage outside of those times and it applies to all of your other appliances too – washing machine, kettle etc…. These types of starage heater also don't emit much radiant heat, which is the heat transfer that warms people and objects in a room. 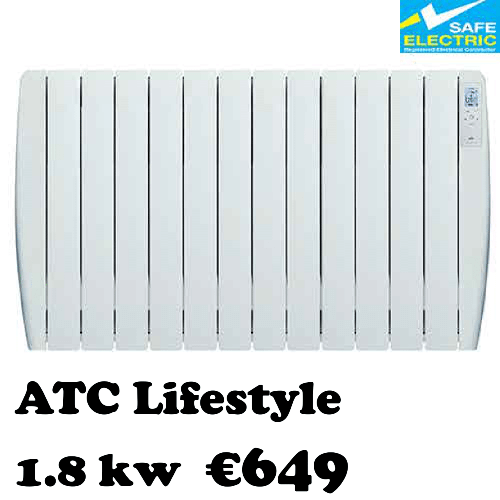 Consult with our experienced Dublin based team for complete solutions to your electric heating problems.